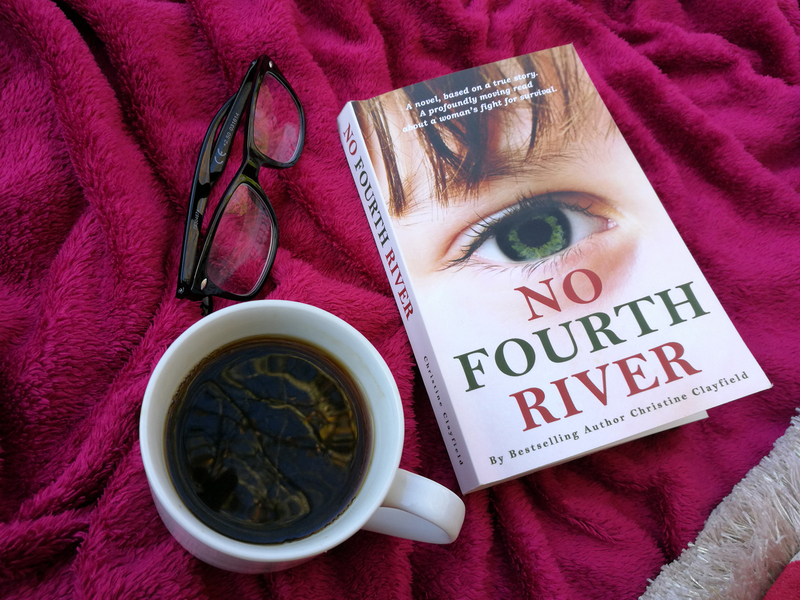 First of all I want to thank Christine for the opportunity of having me as a guest on her blog and for the work she is doing in bringing awareness to life after domestic abuse. There is a lot of focus on coming out of the relationship and not about what life is really like after domestic abuse. I hope that what I share here will give you an insight in what it was really like for me, which I believe is quite balanced with hope but also that shadow that can still hang over at times. Let me tell you a little about me, I am a mum of three and I am now in a happy healthy relationship (married for 2 1/2 years). I am an author and an advocate for women in abusive relationships. The abusive relationship I was in lasted several years and it felt like time had frozen and stood still, my life was on pause. 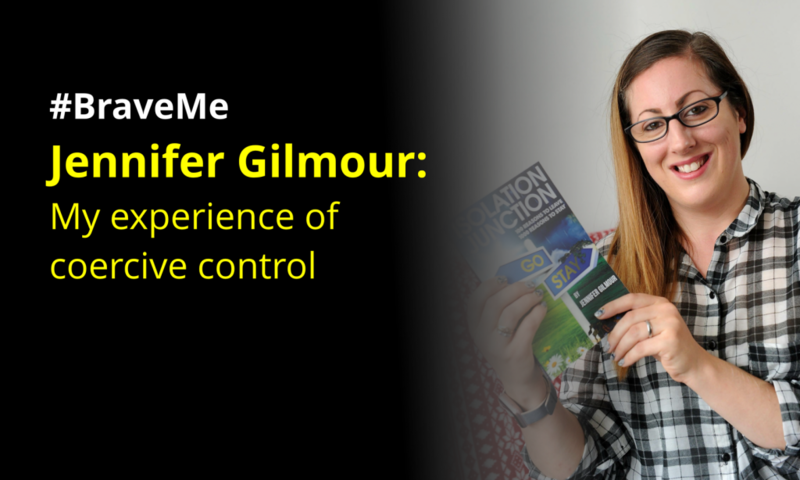 The abuse I suffered was that of emotional abuse and coercive control, not that I knew this at the time. I struggled through because I longed for the happy ending and because of my own moral values, I didn’t want to become like my parents (separated with children). In the end I felt I lost my identity, nothing I could do would make the situation better, I could be locked in the house, prevented from seeing my family and friends – in fact it was two years that I hadn’t returned to my home town and I couldn’t go to two funerals or a wedding of family relatives I was close to. I was bullied, taunted, threatened, made the believe it was me and I was ill, I became emotionless and allowed it to happen in the end because I didn’t know how else to change myself. BUT I did break free which in itself was a struggle and a different story. So how did I come to where I am now? How did I get to a happy place? I was on an awareness course about Domestic Abuse. Alongside me were about 8 other women who had been in abusive relationships. As the day progressed, I found that I simply couldn’t believe that some of what the other women were saying was exactly what I had gone through but just in a different format. 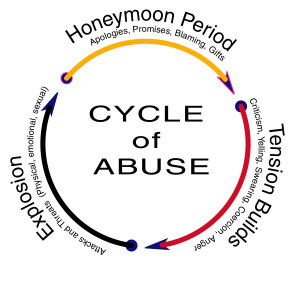 Domestic Abuse tends to go in a cycle (see the cycle of abuse image) and whichever way it begins, the behaviour spirals again and again. At first it could be months between incidents but for me, as time went on there were many instances within one day. It is quite normal to try to prevent the cycle from starting again by changing your behaviour as much as possible. By the end of the course I had come to understand that we were all subjected to the same behaviour and that no one knew before that this could even happen to someone i.e. that a relationship can be so unhealthy and soul destroying. I realised that others simply needed to know more about this unacceptable behaviour; they needed to see the warning signs before the relationship goes further or the behaviour gets even more serious. On the other hand I needed others to see the behaviour for what it is. If people are in a relationship and the behaviour within it is not acceptable and is not their fault, it can’t simply be changed by changing yourself. I realised that others simply needed to know more about this unacceptable behaviour; they needed to see the warning signs before the relationship goes further or the behaviour gets even more serious. You can find out more about the course in my own video here. 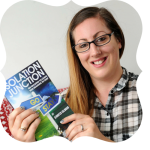 In 2016 I released my debut novel Isolation Junction. 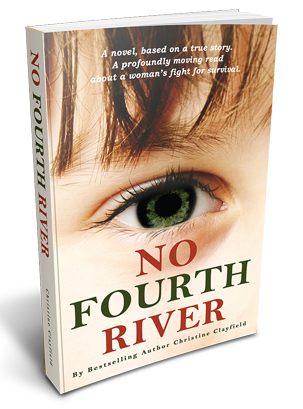 My book follows the story of Rose who is stuck in an abusive and coercive relationship referred to as Isolation Junction. It is an enlightening read, with romance and comedy woven through the plot. In October last year, I released my second book Clipped Wings. A group of survivors have written, or been interviewed, about their own experiences. These accounts – in their own words – show that survivors do have a voice and that it needs to be heard. They show that abuse isn’t unique or strange but that it is, in fact, a surprisingly common problem in today’s society. With their help, we can reach out to educate people about this insidious behaviour. Helping others has become my way of life, my passion and something I can not ignore. It has helped me in my own recovery and meeting like minded people has really helped me on my journey. Since these publications I have continued to be an advocate for those in abusive relationships through my blog posts, radio interviews, public speaking and Twitter feed. During the last year I realised that there are popular threads on Twitter for domestic abuse but not a dedicated chat, I have come across a few chats relating to sexual abuse. I spent a lot of time researching and speaking with other Twitter chat hosts and took the plunge into opening my own in October last year. #AbuseTalk runs every Wednesday evening 8-9pm GMT. It doesn’t matter whether you are a victim, survivor, advocate, charity organiser, individual, solicitor, public figure or MP. #AbuseTalk is open to anyone who wants to discuss domestic abuse. Find out more about #AbuseTalk here. I have had life coaching sessions which were a huge turning point for me, it made me recognise that I needed to let go of the binds my abuser had hold over me. I recognised that abuse doesn’t end when the relationship does, if you have children they are still a part of your life and the emotional weight alone brings up those memories you want to forget. I have been able to claim back my life and discover who I am and where I want to go. I have a supportive husband who will back me in my work and what I am doing, without him I would have found it a struggle. It has taken me years to get to this point but I value those in my life who have helped me get here. You can have happiness and you can be free, its how you get to that point which is the most important. 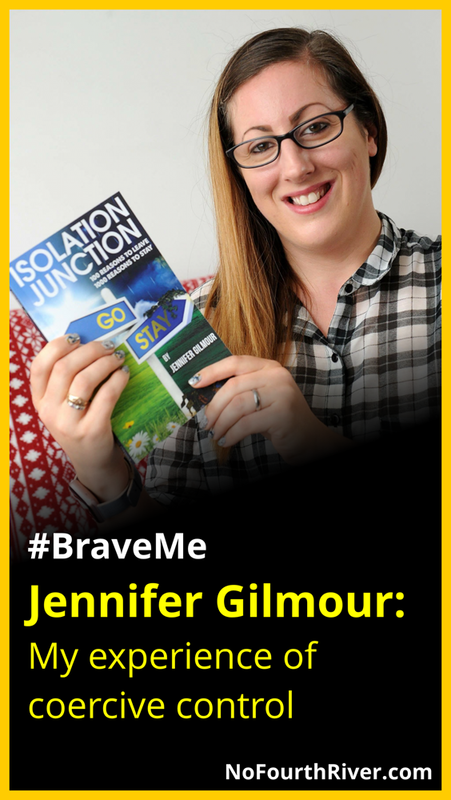 We want to hear about your inspiring #BraveMe story too. Click here to find out more about submitting your story. "Full of emotion, struggle, fight & strength."